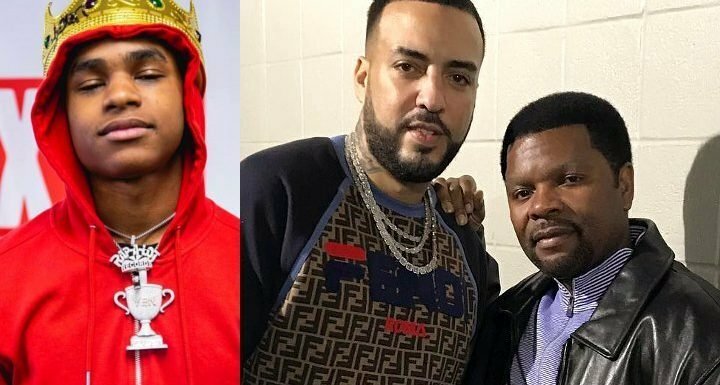 AceShowbiz –YBN Almighty Jay will get his stolen chain back, courtesy of J Prince and French Montana. The founder and CEO of J Lab Productions managed to retrieve the rapper’s chain and pendant, which were stolen from him during a brutal NYC brawl earlier this month. On Monday night, Prince had a meeting with French and fellow Bronx rapper Hassan “Hocus45th” Harris. French and Hocus flew in from NYC to hand-deliver the jewelry, according to TMZ. The “Unforgettable” hitmaker reportedly connected Hocus and another guy named KT with Prince so that they could arrange to get the stolen jewelry back to Jay. Hocus apparently has a big influence among the community in the Bronx, so he was able to recover it from the guys who allegedly robbed Jay. After their meeting, the guys plan to continue keeping their union in #MobTies movement, Prince’s term for his allies. Prince later took to Instagram on Tuesday to share a picture from their meeting. He posed with French, Hocus, KT and his son J Prince Jr while showing the bauble. “Real recognizes real in every hood and has a way of connecting in spite of clowns and squares,” he wrote in the caption. Prince looks “forward to us doing business in the future together” and even invited his new friends to his son’s upcoming birthday party. “To @ybnalmightyjay I’ll be returning your jewelry soon Lil homie,” he concluded his post. According to MTO News, someone pulled a razor and sliced the rapper’s face during the attack. He suffered a deep cut in his face which required more than 300 stitches to close the wound. He is currently on the mend and took to Instagram Live on Friday, March 15 to show his bandaged injuries.